Joshua Marks, who was known by friends as "a gentle giant," had acknowledged suffering from bipolar disorder. 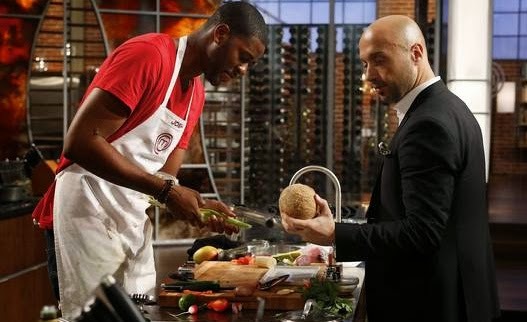 "MasterChef" runner-up Joshua Marks was found dead of a gunshot to his head in an alley on Chicago's south side Friday night, police said Saturday. Investigators have not yet ruled if Marks, who has publicly acknowledged suffering from bipolar disorder, committed suicide, Chicago Police spokesman John Mirabelli told CNN. 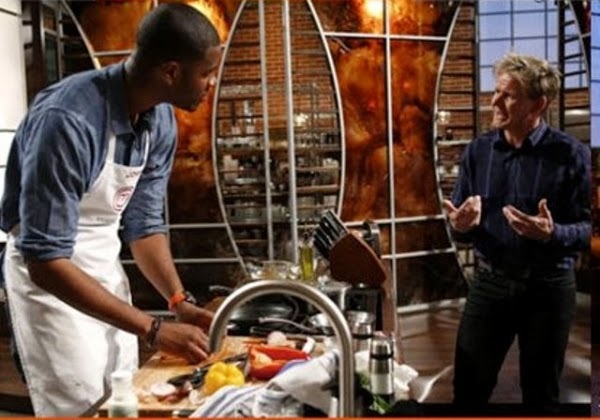 Marks, 26, lost to winner Christine Ha in the final round of the Fox reality cooking competition's third season. His death comes three months after he was arrested following a scuffle with several Chicago police officers, according to the Chicago Tribune. Marks told police he had been possessed by "MasterChef" judge Gordon Ramsay, who turned him into God, the newspaper reported. Ramsay posted a message on his Twitter account Saturday reacting to Marks' death: "Just heard the devastating news about Josh Marks. My thoughts are with his family & friends at this tragic time." Marks -- who at 7-foot-2 was known by friends as "a gentle giant" -- spoke about his mental illness in a public service video he recorded for the Make a Sound Project, a suicide awareness program. The project promotes "how to use music as an alternative to the crazy thoughts you may have going in you mind," Marks said in the video. "Me personally, I have bipolar disorder, so, you know, I'll get a little anxious sometimes, and how I cool out is, I listen to music and just listen to the words and just relax and, you know, find my melody. I wish we had some music going on in here right now." Detectives are talking to witnesses and examining security camera video from near where Marks' body was found, Mirabelli said. A determination of suicide would not be made until an autopsy is completed this weekend, he said.